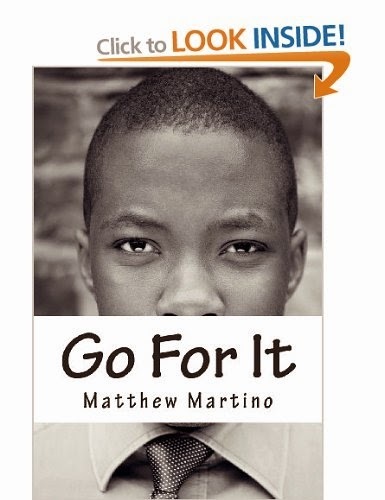 Matthew Martino's "Go For It" is an excellent book geared towards business starters, specifically first generation entrepreneurs, which provides a clear and thoughtful outline of setting up one's business, from the mission and vision to the business and marketing plans. "Go For It" is an interactive book that prompts readers with questions aiming to clarify one's purpose such as, "What am I trying to achieve through my business?" and "Is there a market for your idea? Is the number of potential customers large and growing?" Martino encourages his readers to journal their answers and mull these questions over for some time. Written shortly after Martino's consultancy business as well as a nearby Internet Cafe he frequented closed, the book is all about sharing the lessons the author learned. For example, Martino writes that desiring to be rich should not produce guilt, nor should wanting to be your own boss because there are many advantages to managing a business over having a job, which has become synonymous with "earning a living" in our culture. Well, why not be our own bosses? Martino presses readers to answer this and other shaping questions with the knowledge that successful, surviving ventures address social needs and problems with solutions built on trust. The writing in "Go For It" is clear, concise and well-organized. The recommendations are easy to follow and the interactive questions are excellent. "Go For It" is a fresh take on choosing business over a job and going for it with a passion and a clearly-defined purpose.